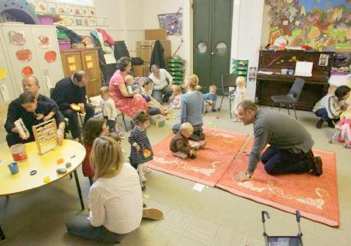 An informal crèche runs every Sunday during the 10.30 am service, with toys, games, and books for babies and young children. There is a team of volunteers who coordinate the crèche each week, but one parent or carer will need to stay with their child at all times. If you'd like to help out as a volunteer, CONTACT US us to get in touch with the crèche coordinator.